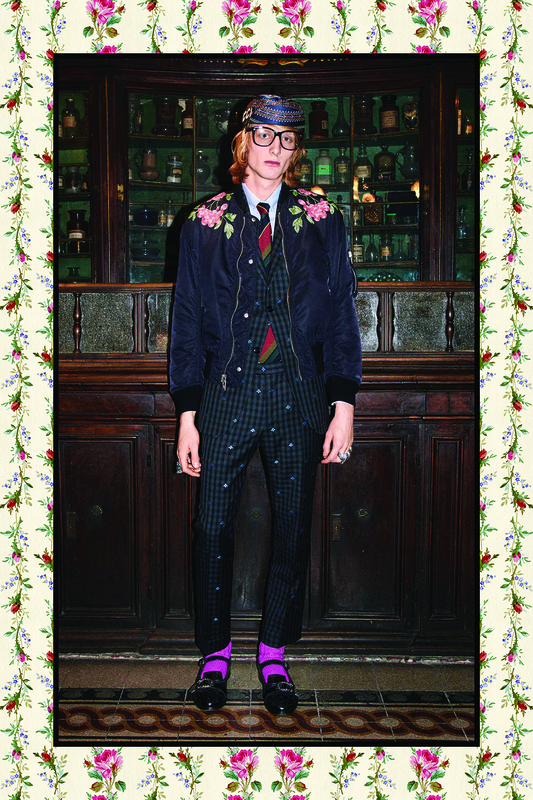 Under designer Alessandro Michele, Gucci has renewed its focus on men’s tailoring. For Pre-Fall 2017, the brand’s suiting (all canvas construction, which ensures a precise fit that still allows for movement and proper draping) has taken a preppy turn, with collegiate checks and crests joining a lineup of wear-with-confidence florals and embroidered jacquards. And the suits are just the beginning. Everything down to the immaculately curated accessories show the same amount of creativity and detail. Build a wardrobe of slim cut shirts, with bee motifs and banker collars, and throw in some knit cardigans in place of vests for a new take on the three-piece suit.